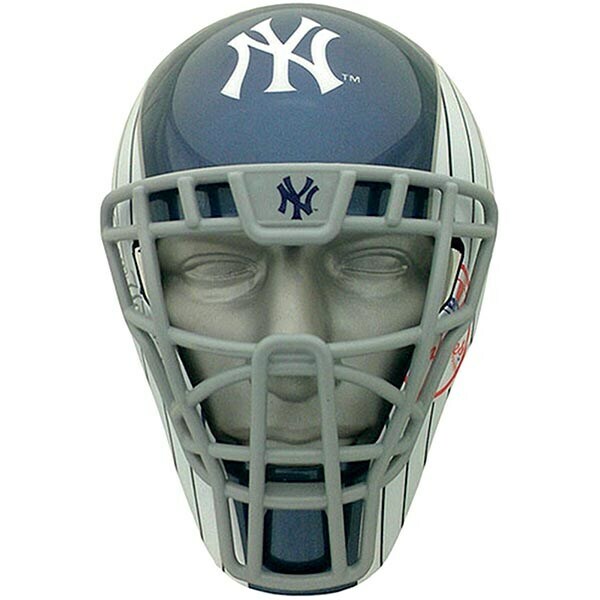 Wearing an actual catcher, goalie or football helmet, while a testament to your fervent fan status, is a little uncomfortable. These lightweight replicas have all the logos, colors and cool factor of full-on helmets, but comfortably stay put with elastic cords. Lightweight plastic. Sized for adult faces, they're 11"H x 8"W. For NFL, specify Dallas Cowboys, Pittsburgh Steelers or Green Bay Packers. For MLB, New York Yankees, Boston Red Sox or St. Louis Cardinals. For NHL, Chicago Blackhawks, Boston Bruins or Detroit Red Wings.